Illuminate your next event with Banquet Tables Pro® LED top round highboy tables. This table breaks down into 3 pieces for storage & transport. Making it perfect for rental companies, event venues, weddings & more. Each table comes standard with a battery that will last up to 5 hours on a full charge. 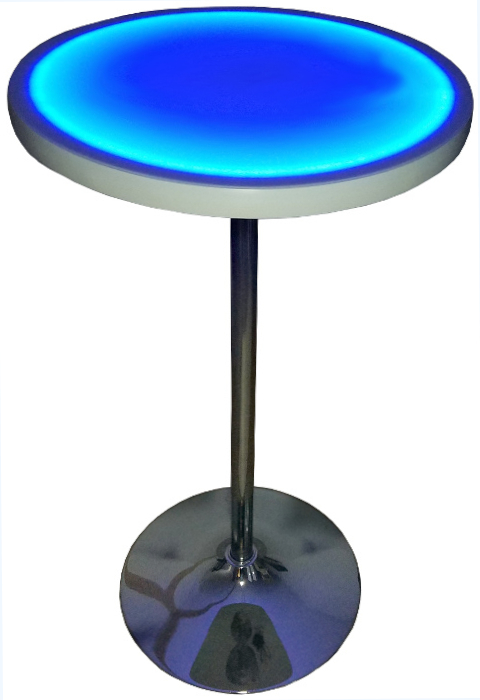 With the click of a remote you can change the color of the table top to 20 standard colors. The 1.5" thick table top consist of high pressure laminated plywood core, white polycarbonate panel & PVC bumper edge. The battery attaches to the bottom of the table top with 3M® dual lock.